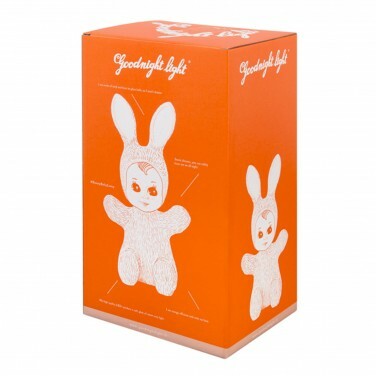 A cute little retro styled lamp, these baby bunny lamps look just like a cute baby all wrapped up in a bunny onsie. 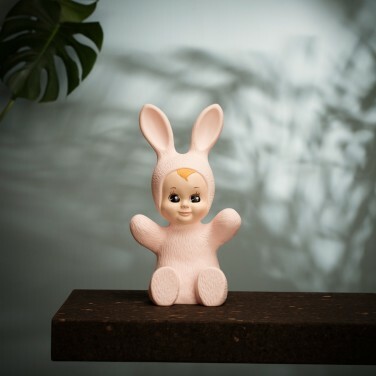 Available in white, baby pink and baby blue/spearmint, these adorable little bunnies are lit with a warm white LED to cast a soft comforting glow into your child's room or nursery at night. 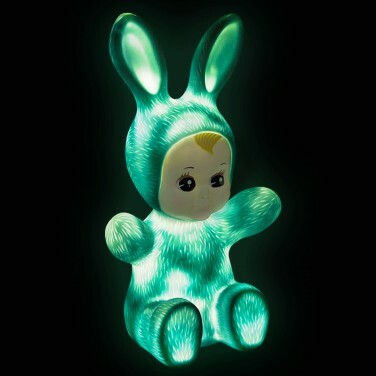 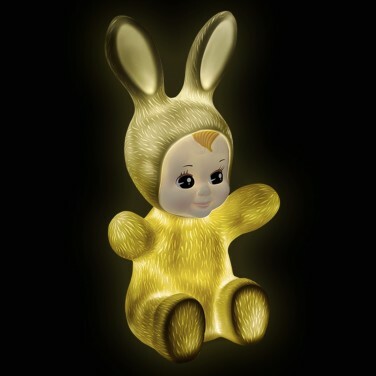 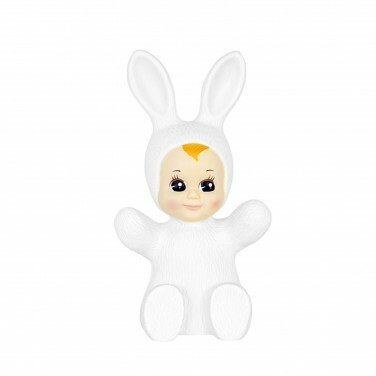 Designed with kids in mind, these sweet bunnies remain cool to the touch and can be left on all night because of their energy efficient LED, and made from vinyl, they won't shatter or break if knocked. 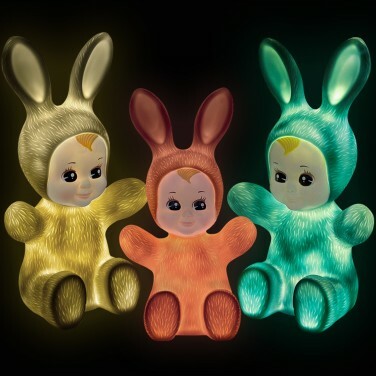 Mains operated with an inline switch, these gorgeous lamps add character and a friendly face to your child's room at night. 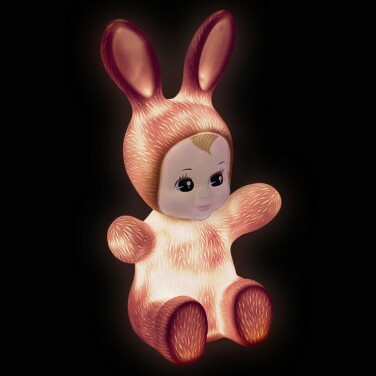 Ten little woodland rabbits sitting on a string and lit with warm white bulbs make a magical lighting feature.